Sony has launched a different take on the smartwatch, with all the technology embedded in a band that users can attach to their favourite analogue face. 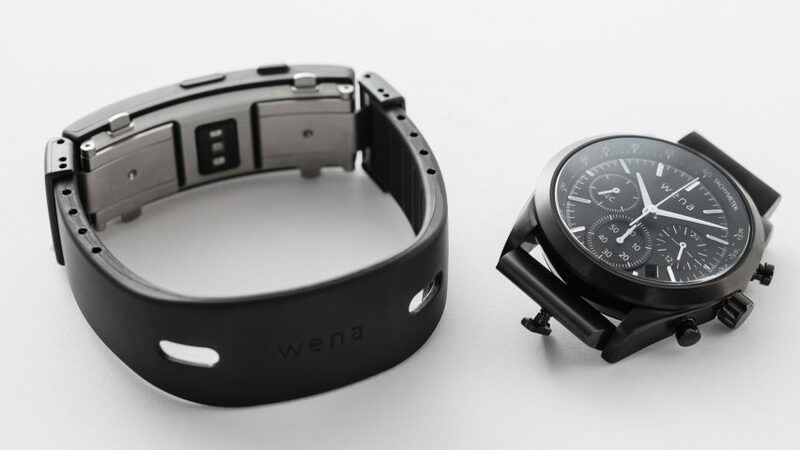 The Wena watch strap upgrades any traditional watch with fitness tracking, contactless payments and phone notifications. All of the technology has been carefully designed to fit within the gentle curve of the watch clasp, including a small OLED screen where notifications are displayed. Wena — which stands for "wear electronics naturally" — came out of Sony's Seed Acceleration programme, where employees are supported to develop ideas outside of the Japanese electronics company's existing product categories. While smartwatches such as the Apple Watch have become firmly established as a wearable product category in the last few years, few companies have attempted the smart watch band. The band could appeal to consumers who like the look, simplicity or longevity of a classic watch. Sony also points out that, with the technology in the clasp, near-field communications (NFC) payments are actually more natural for most people with Wena than a standard smartwatch, as they don't need to twist their wrists. "This brings a whole new lifestyle aspect to the market for mobile payments, which is currently experiencing strong growth worldwide," said Georg von Waldenfels, executive vice-president Consumer Solutions at Wirecard, one of Sony's UK and Ireland payment partners. Sony makes a range of watch faces designed specifically for the Wena watch strap, including a premium Mechanical style. This features a transparent back through which you can see the Miyota 905S movement. The straps connect to a phone via Bluetooth, and users can customise the look of their notifications with a range of seven coloured-LED lights and vibrations. Sony is one of the biggest electronics companies in the world, with smartphones, televisions and the PlayStation gaming console among its biggest sellers. Recent new products have included the Aibo robot dog and the Xperia Touch projector that turned any surface into a tablet. It also recently released the FES Watch U e-paper timepiece, whose appearance can be changed at the touch of a button.